A good rule of thumb to follow concerning lot sizing is 100'-120' deep x a minimum of 75' wide depending on the number of bays. 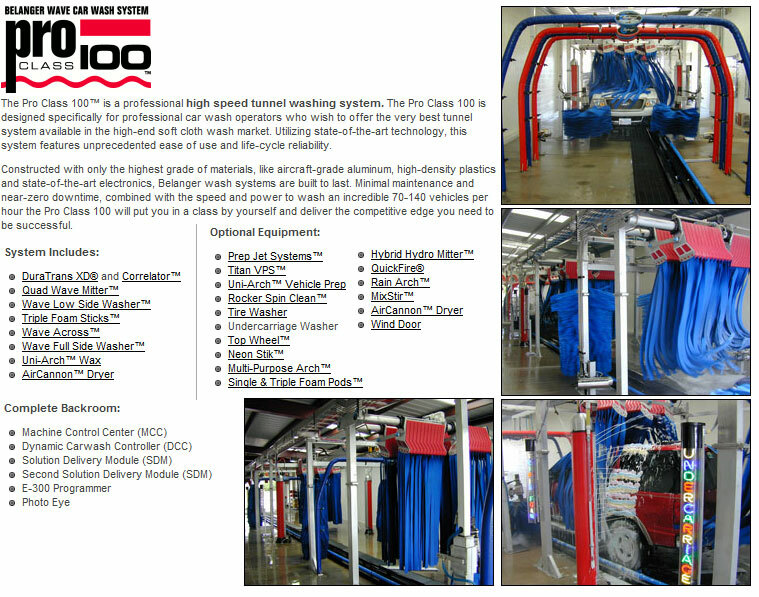 (Typical 4 bay self-serve wash would need a lot 100'-120' deep x 100' wide minimum). Good access from both directions of traffic flow is also very important. Ideal traffic speed should be under 40 mph. Lot size and shape will determine if you design a "Drive-in-back-out" or "Drive-through" building. (Income streams tend to favor the "drive-through" design). 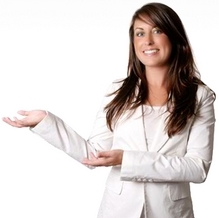 Ideal locations are near residential areas, apartment complexes or busy traffic flow routes. A good rule to follow regarding the cost of property is that the monthly lease payment should not exceed 15% of the gross monthly income of the wash. Typical pump room is 10'-15' wide x 28' length. Typical bay height is 10' for car bays and 12'-14' for truck bays. Depending on specific codes your building should be placed on the lot to allow for 1-2 cars minimum to be "stacked" behind each bay waiting to wash. Vacuums can be placed in this area but should not impede the normal flow into the bays. Make sure there are adequate drying and vacuuming areas that are out of the main traffic flow. Ideally your bays should have a southern exposure to help reduce ice build-up in cold weather conditions. Local codes will also have "set-back" requirements on building placement. 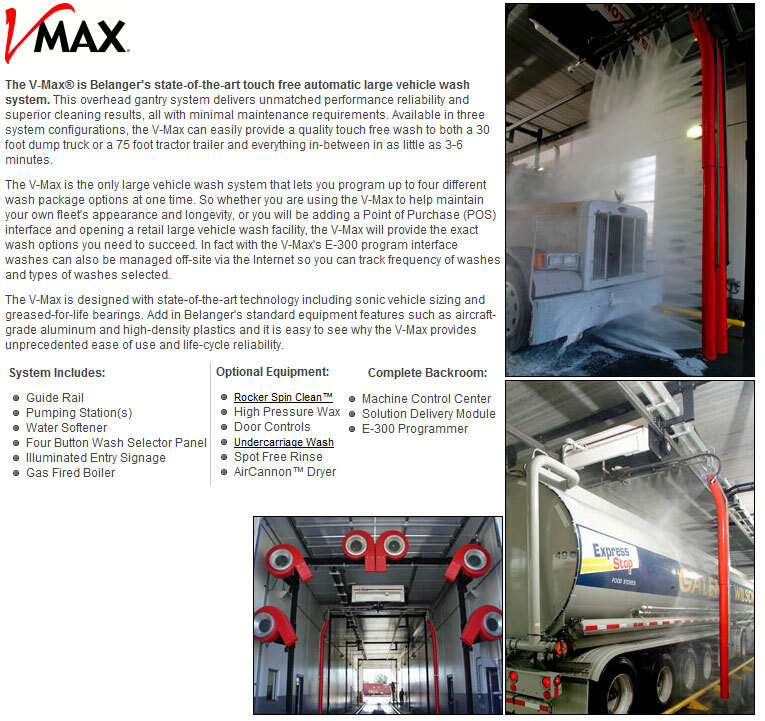 In many rural locations washes can be built with an open outside bay for trucks, trailers, tractors, etc. However, as a rule an outside bay will bring in only about 40-50% of the revenue of an inside bay. It is always better from a revenue standpoint to enclose all bays and build one larger if you feel you will have adequate truck traffic. This bay then can also be used for cars if other bays are busy. The ideal number of vacuums to have is 1-1/2 vacuums per 1 bay of self-serve. (I.E. 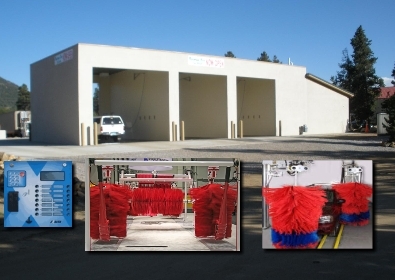 a 3- bay wash should have 4-5 vacuums placed somewhere on the lot). National average of vending revenue is approximately * $347 per month gross revenue based on offering at least 4 different vending products. 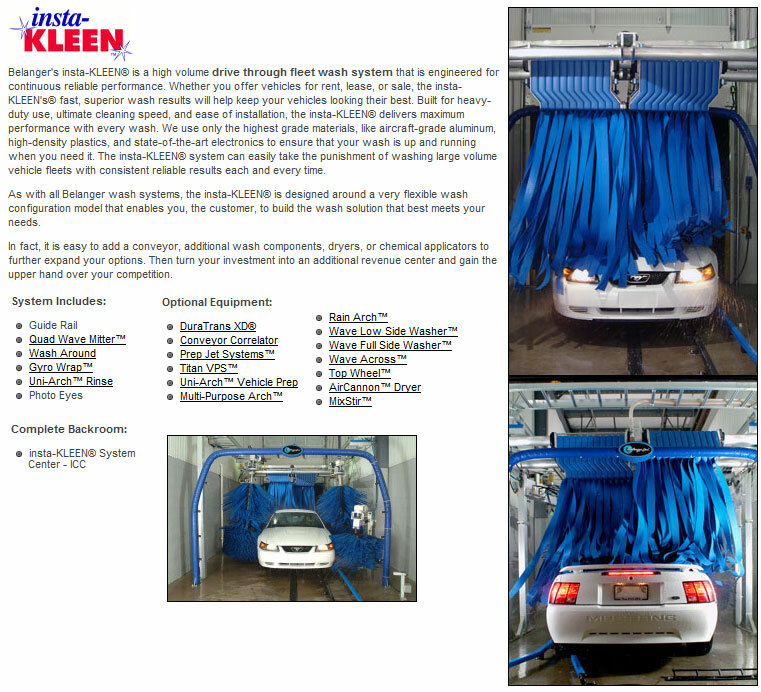 Average operating costs (Based on information obtained from 2006 Auto Laundry News Self-Service Survey) is approximately *53% of gross income which includes *13% for attendant labor which you may or may not need. *(Lease payments, income tax, debt reduction or depreciation are not included). 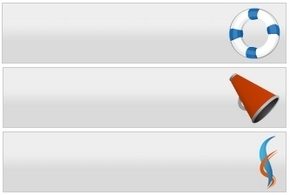 These figures can and do vary by region. Typical self-serve washes will offer hot wash, hot rinse-winter & cold rinse-summer, hot or cold wax, foamy brush and spot-free rinse. 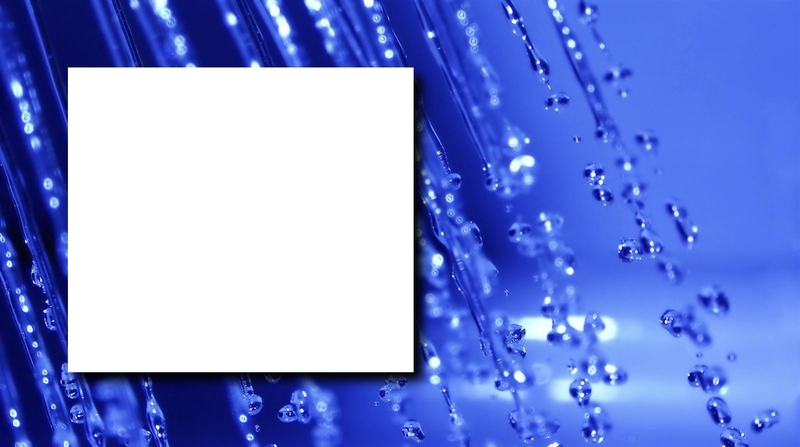 An important new feature is "Spot-Free Rinse". This features increases revenue stream due to the fact that customers "buy" another cycle of time to get this feature. This means a potential double the income from each customer using this feature. 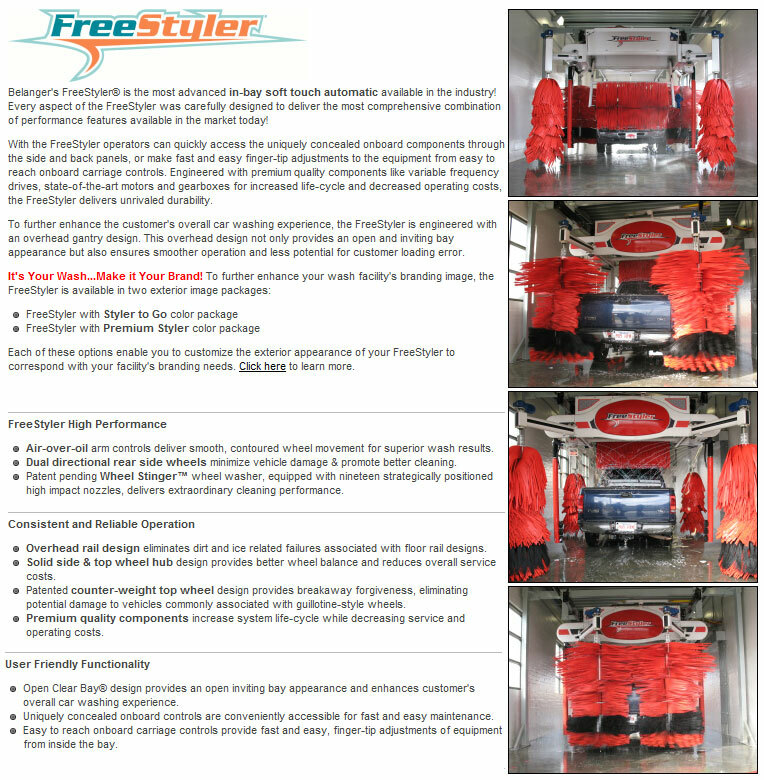 Tire Cleaner and Pre-soak systems are also options that increase customer satisfaction as well as income stream. It is our strong recommendation that Instantaneous Tank-less water heaters also be used in place of conventional water heaters. These heaters can reduce gas costs up to 40% vs. conventional heaters. (If it rains for a week, only the pilot is using gas on these type of heaters vs. conventional heaters which heat the water column continuously rain or shine). Cold Climate washes should also not be without a floor heat system. These systems reduce liability and increase customer satisfaction. In-floor circulating systems are most popular. However, above-head radiant tube heaters also give the benefit of heating the floor as well as the customer. For floor heater sizing it is wise to also heat 3'-4' on the entrance and discharge aprons.This will reduce liability in the customer "walk" areas as they use bill changers and vendors. Bill changers are also a necessity. Studies have shown a minimum 10% increase in gross revenues in washes with changers. $1 & $5 changers are now the norm in all new wash facilities, with $10 & $20 optional. Vending products such as towels, Armorall, window cleaner and fragrance trees should not be overlooked as an added revenue source. 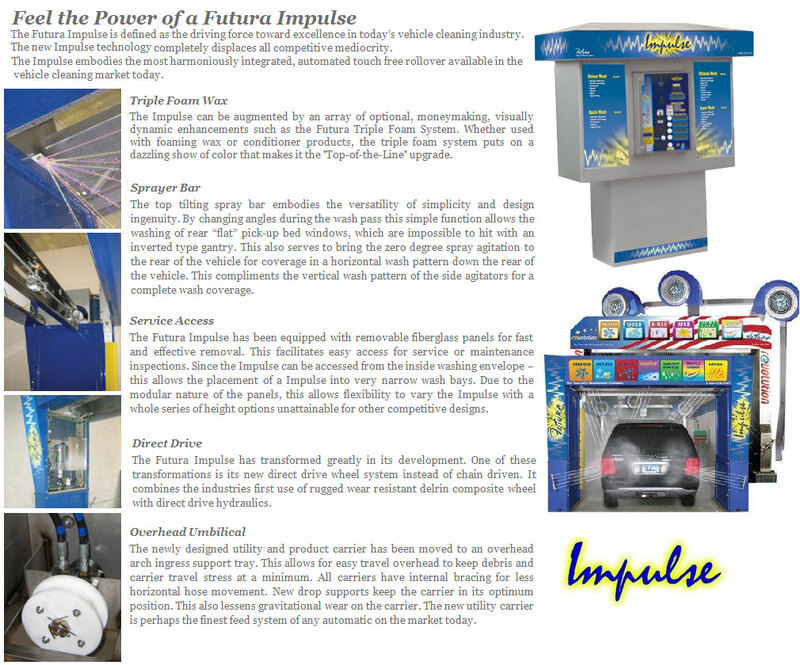 (Average vending per wash location is approximately * $347 per month in total gross revenue). We hope this information will be beneficial to you in your investment planning. Please feel free to contact us if additional information if required. Pumping Station with Cat, Hypro, General or Giant Pumps. Pre-wired Electrical Panel with Starter, Transformer, Hour Meter. Energy-Efficient Instantaneous Water Heater (1 per bay). TEFC Motors, Single or Three Phase. Stainless Steel Wax & Soap Solenoids. Balanced Pressure Relief Valve for Pressure Control. Weep System for Freeze Prevention. Heavy-Gauge, Steel Frame with Baked Finish and Height Adjusters. Entire System is Pre-Plumbed and Pre-Wired. Standard Pumps Rated to 3.5 GPM @ 1300 PSI or 4.0 @ 1500 PSI. Stainless Steel Coin Meter with Timer, Rotary Switch & Heat Tape (If Required). 360° Ceiling Boom of Stainless Steel & Aluminum Construction. Trigger Spray Wand with Swivel, Nozzle, Gun Hose & Wand Holder. High Pressure Run Lines from Pumps to Ceiling Booms. Stainless Steel Mat Holders (4 per bay). 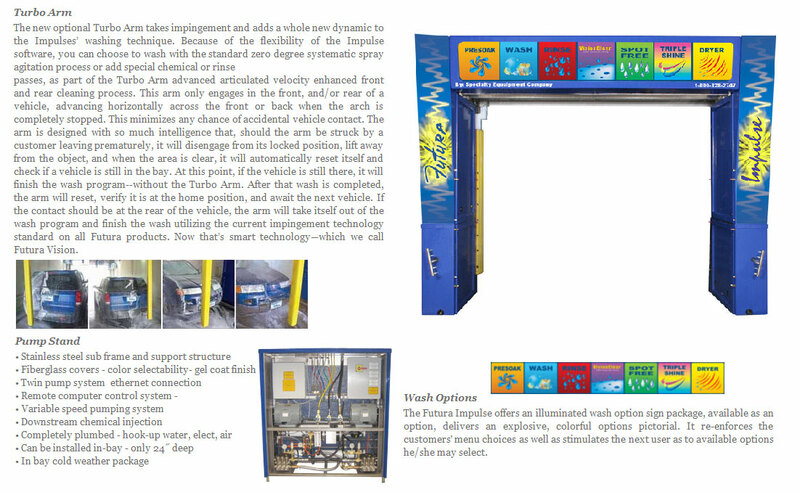 Whether your needs are simply to replace your existing car wash equipment or to design your new car wash facility from the ground up, Car Wash Solutions is ready to assist you in making the correct investment in equipment and products. 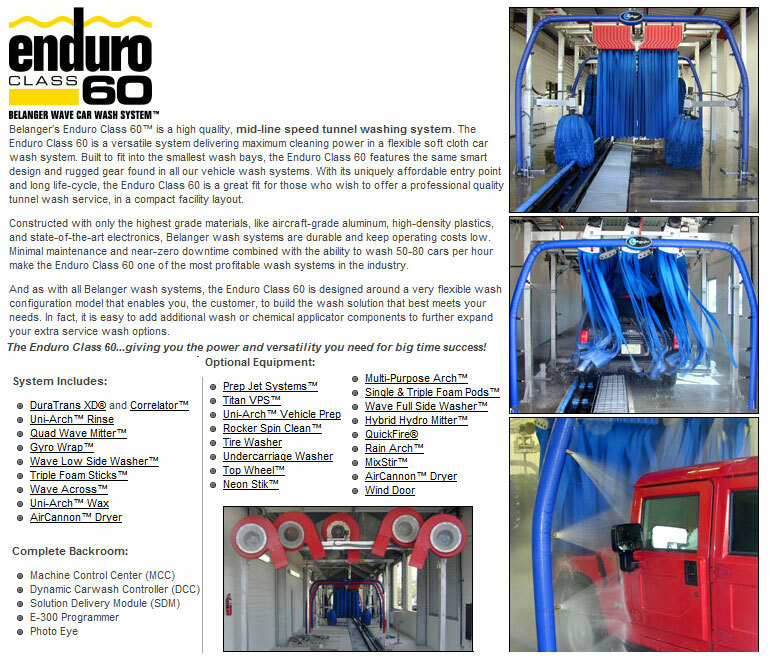 As a full-service Install, Car Wash Solutions supplies and services all segments of the car wash market including tunnels, automatics (rollovers), self-serve, fleet, and large vehicle wash equipment & Touch Free wash systems. Not only are we a car wash distributor, we're operators too. As operators, we've developed an 'inside out' view of the challenges and successes our clients experience on a daily basis. 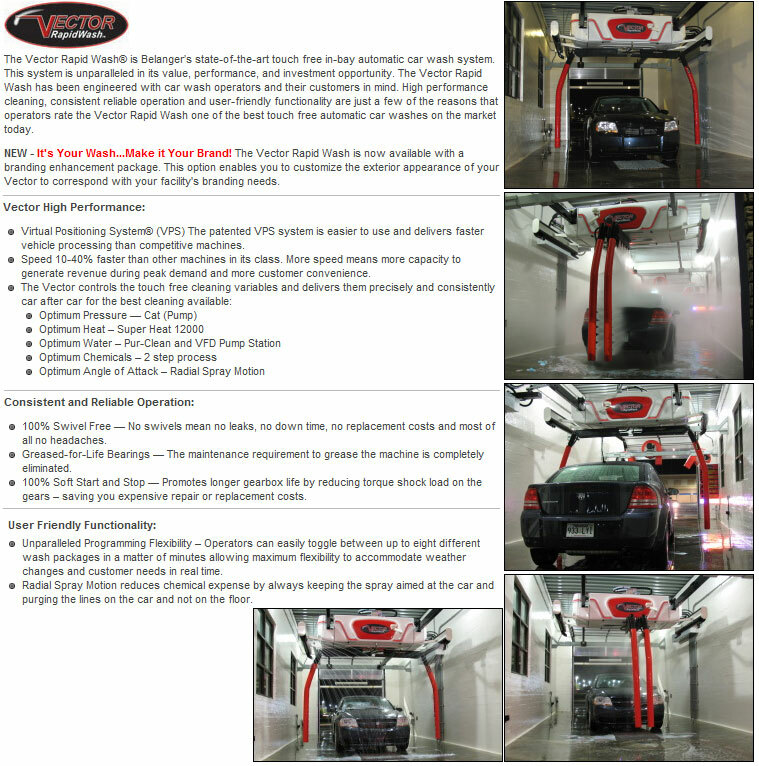 Combined with our expertise in developing car wash sites throughout the Nation for more information about Advance Car wash Solutions or Fill out the Form Above! Please add any comments; Email,Telephone or Request 2009 Catalog!